I love the fun shaped cards I can make with the different Framelits. This one uses the Deco Label Framelits which everyone received at last nights Big Shot Class. Yup, that’s right, they came and made four fun cards using the Deco Label Framelits and they also got to take home the set of the Framelits too. It doesn’t get much better than that, right? The other day I had a chance to play with the “Crazy, Mixed-Up Love” stamp set that I’ve had for a while. Oh my goodness, it’s a fun stamp set. I like to separate the images from the words so they can be used independently. 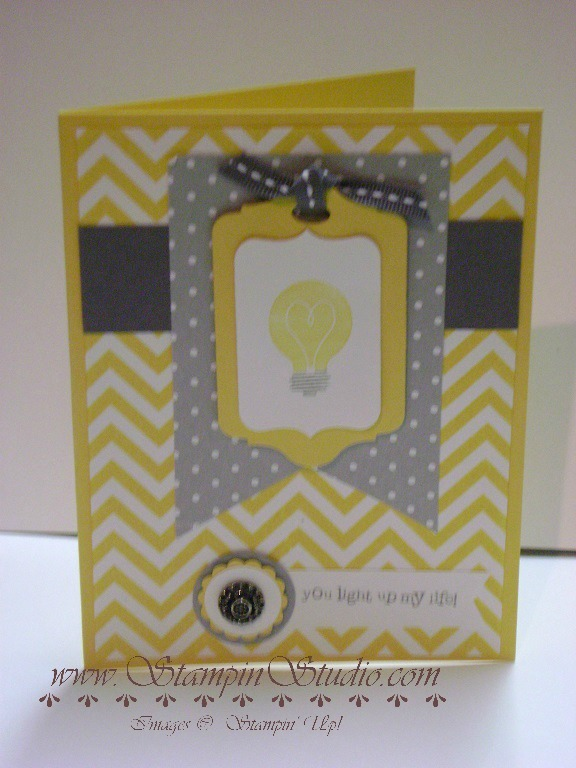 I also fell in love with the Positively Chevron background stamp. It looks just like a piece of DSP…LOVE IT! Last year, Stampin’ Up! 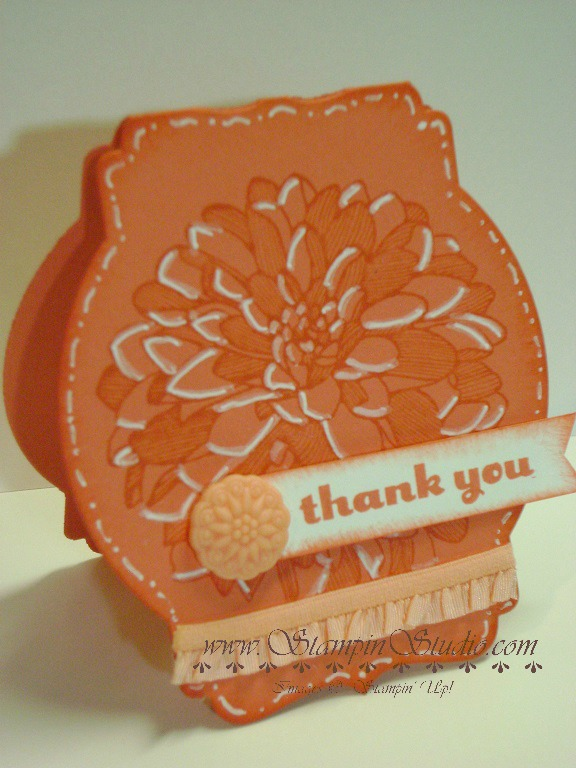 came out with the really awesome Stampin’ Trimmer and tons of you purchased one from me. Then this year when the Annual Catalog came out in June it showed a new product to go along with the awesome Stampin’ Trimmer …and in the fine print it said the new product would be available in August. 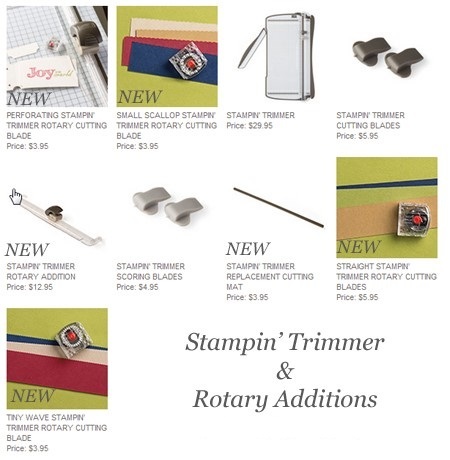 Well, ladies and gentlemen, it’s August and the new Stampin’ Trimmer Rotary Additions are available. Woohoo!! With the new Stampin’ Trimmer Rotary Addition and the cool blades that go with it we can make wavy cuts, scallop cuts, straight cuts and perforated cuts. Mine are ordered and on their way. I’ve watched the video created by Stampin’ Up! and I can’t wait to start playing with mine when it arrives. The video is worth watching as it has a quick review on how to use the trimmer itself (so if you don’t own the trimmer yet, you’ll see why you’ll want to get one) as well as tips on how to use the new Rotary Additions. Don’t have your very own Stampin’ Trimmer yet? Get it today…you’re gonna love it!